There was the usual pre-match call to arms from the stadium announcer and, with now only four games of the season remaining, another passionate pledge from Chris Wilder in his programme notes. At the end of it all, after a nervous afternoon inside Bramall Lane, Sheffield United were forced to settle for a point in their pursuit of automatic promotion after Jake Cooper's equaliser deep into added time. 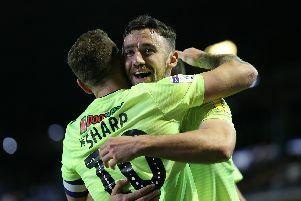 Substitute Gary Madine seemed to have cut through the tension at the beginning of the second-half as, ahead of Leeds' meeting with Sheffield Wednesday this evening, United climbed back into second place on goal difference. But following Cooper's effort, after John Egan had been sent-off for conceding a late penalty which Ben Marshall missed, it was precious little consolation for United. Wilder, whose side are now second, had earlier vowed not to alter his enterprising outlook along the finishing straight. "We will be ambitious in our approach, we'll play our way and go out an attack the opposition," he wrote. "We will remain focused on ourselves, stay calm and composed and do our talking on the pitch." That final comment was a thinly disguised dig at those Wilder has recently accused of peddling "noise and nonsense" during the closing stages of the campaign. On this evidence, however, United's biggest enemy will be pressure. 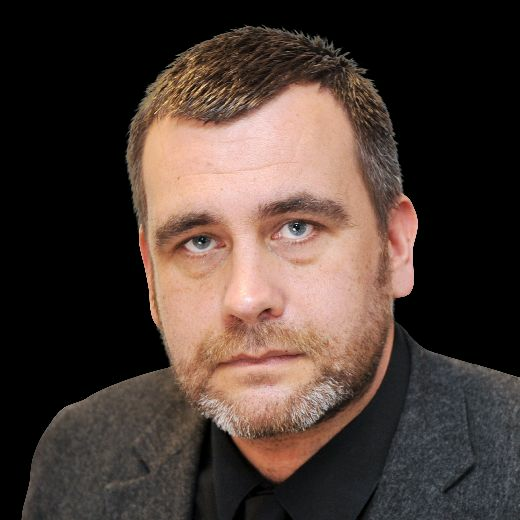 Given their position in the table and prize on offer, it is inevitable. But it will clearly be an uncomfortable bedfellow. Likewise, as their manager's furious reaction at the final whistle confirmed, controversial refereeing decisions. One in particular, when David Webb refused to award a foul against Millwall before Cooper's goal, clearly grated. Understandably so given the stakes. What ultimately proved to be a subdued first-half performance was not the only source of concern for Wilder and his coaching staff. The loss of Chris Basham to injury, particularly with two Bank Holiday weekend fixtures looming on the horizon, will also have troubled him. Having spent the previous two games without one of his over-lapping centre-halves, the last thing the United manager wanted was to lose the other. But after sustaining a knock as he stretched to collect the ball, Basham was eventually forced off. But it was Madine, his surprise replacement, who eventually sparked United into life with his third goal since arriving on loan from Cardiff City. Speaking after he returned from suspension, Wilder acknowledged the striker "knew" he owed his colleagues a performance. A cool conversion, after John Fleck had punched a hole in Millwall's rearguard, was Madine's response. Another headache was to follow when Billy Sharp trudged off following a brief period of treatment. He did not make his way straight to the changing rooms but, like Basham, United will be hoping their captain is available to face Nottingham Forest in six days time. With Jack O'Connell returning after injury and Kieron Freeman replaced the rested George Baldock at wing-back, United's defence boasted two changes to the one which had helped secure what, in the grand schemes of things, appeared a creditable point at Birmingham City in midweek. As expected, Millwall included former United players Ryan Leonard and Lee Gregory in their starting eleven although the latter, despite going on to forge a fine career, did not make a senior appearance for his hometown club. The changes did not interrupt United's rhythm during the early skirmishes, with Sharp and Enda Stevens combining well down their left flank before Mark Duffy saw a low shot comfortably saved by David Martin. There was more good play from Oliver Norwood too, when his looping centre seemed destined to reach David McGoldrick at the far post. But Millwall's Conor McLaughlin did well to clear. Basham's departure prompted another change of personnel and also play-pattern, with Madine summoned from the bench rather than Martin Cranie. David McGoldrick, who duly dropped into midfield, went close after creating space outside the Millwall box with a deft feint. But after their positive opening, United's momentum waned as the half progressed before finally reappearing as the interval beckoned. Duffy navigated his way through Millwal's defence but as Madine prepared to pull the trigger, a defender hacked clear. Still, it at least nudged Harris' men back out of their comfort zone. The breakthrough came five minutes after the re-start. Although he was not the intended target of McGoldrick's pass, Fleck seized possession and powered forward as Millwall scrambled back. Judging the angle he was facing to be a shade too tight, the Scot instead squared for Madine who had checked his run before reaching the six yard box. It proved to be the right call from both, with the latter picking his spot and then hitting it in front of The Kop. 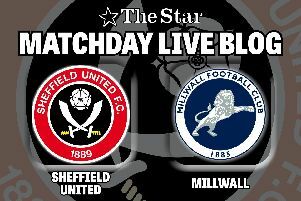 Soon after Sharp had come off, the introduction of Paul Coutts confirmed that United need to re-establish their grip on proceedings as Millwall applied some pressure of their own. The drama became almost unbearable during the closing stages when Egan was dismissed for handling Elliott's header on the line. Marshall stepped-up to take the resulting spot kick but, as the defender stood to watch in the technical area, fired it against the crossbar. But, seconds from time, Millwall did level when Cooper headed home in the 94th minute following a scramble inside the box. Sheffield United: Henderson, O'Connell, Egan, Basham (Madine 21), Stevens, Freeman, Norwood, Fleck, Duffy (Coutts 72), Sharp (Cranie 65), McGoldrick. Not used: Moore, Dowell, Hogan, Stearman. Millwall: Martin, McLaughlin (Marshall 58), Cooper, Wallace, Thompson, Ferguson, Romeo (O'Brien 81), Pearce, Tunnicliffe, Leonard, Gregory. Not used: Amos, Meredith, Williams, Elliott, Morison.